For a window into Islamic culture in the Mahgreb and the religious institutions that greatly influenced its development. One can do a lot worse than to visit the Ben Youssef Madrassa. Originally founded during the 14th Century during the Marinid Period by Sultan Abu al-Hassan, the building was first brought to great prominence by its reconstruction and overhaul from 1564-65 by the Sultan Abdul al- Hassan. Since that point it was the largest Madrassa in the whole of Morocco, bringing the city great prestige and cultural influence. The Ben Youssef was no ordinary school however, it was more akin to a self contained educational community. With 132 rooms and hundreds of students living and learning within its magnificent walls. 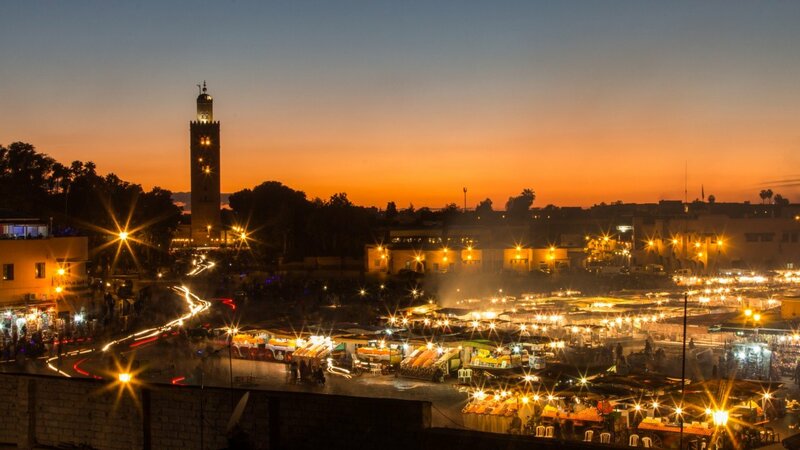 This combined with its location in the Medina in the historic old town, just a few minutes walk from the Central square Djemaa el Fna makes it one of Marrakech’s primary cultural destinations. Once you enter the building you immediately see why it is such a famous place in the Islamic world. The architecture and decoration proudly displays many of the facets and aspects of Islamic building and design that has made them so renowned for their beauty and aesthetic appeal. Inside the Madrassa is a myriad of tesselated colours, blues and greens beautifully contrasting with browns and white. The courtyard which is adjacent to the prayer room is truly a beautiful place one in which it is very difficult to not have a feeling of great tranquillity even in the famed Moroccan heat. One can also not fail to notice the intricate inscriptions which abound all over the complex. It is not merely the incredible shaped which these inscriptions take but the incredible detail which the inscriptions take, one can scarcely fail to be amazed by the delicacy and fantastical patterns in the form of the writing . It is however not merely your average tourists who have come to appreciate the wonders of this place but indeed it has become a favoured place to visit for passing royals as in recent years the Madrassa has been visited both by the King and Queen of the Netherlands and the Queen of Spain, surely a ringing endorsement from European royalty. All these things coupled with the Madrassa’s prime location and relative ease of access make it a must for any culture or history buffs visiting Marrakech. Our Riad Cinnamon is located an easy 5 minutes stroll away meaning that a stay with us leaves you fully capable of taking full advantages of such a fantastic base in the heart of Marrakech’s historical and cultural heart and one the undoubted advantages of staying in such a fantastic location. 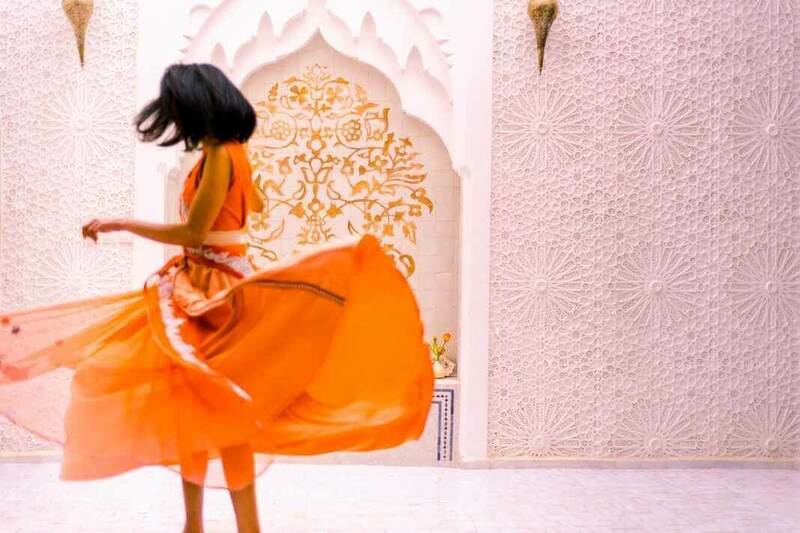 Enjoy the hustle and bustle of the markets, soak in the vibrant culture of the surrounding museums and historic sites, then retreat to the luxury of Riad Cinnamon before once more plunging back into the immersive experience that is Marrakech old town. Make a booking today.